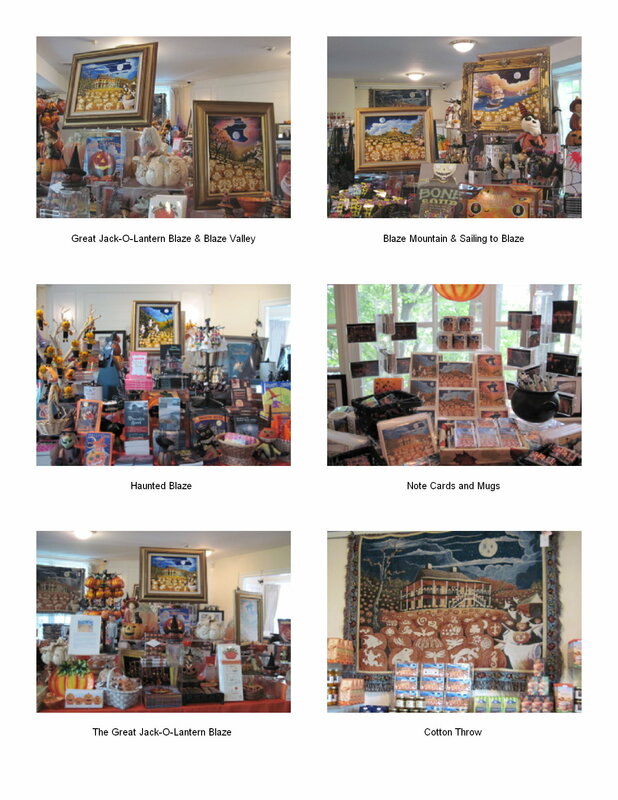 Suzanne’s paintings of The Great Jack-O-Lantern Blaze (as well as note cards, cotton throws, mugs, placements, and more) are featured during the event each year at Van Cortlandt Manor. Visit the Historic Hudson Valley website for information. Arrived back in Idaho yesterday with “Blaze Mountain” safely in tow. Love the painting and Blaze. Enjoyed your kindness and that evening very much. Thank you. 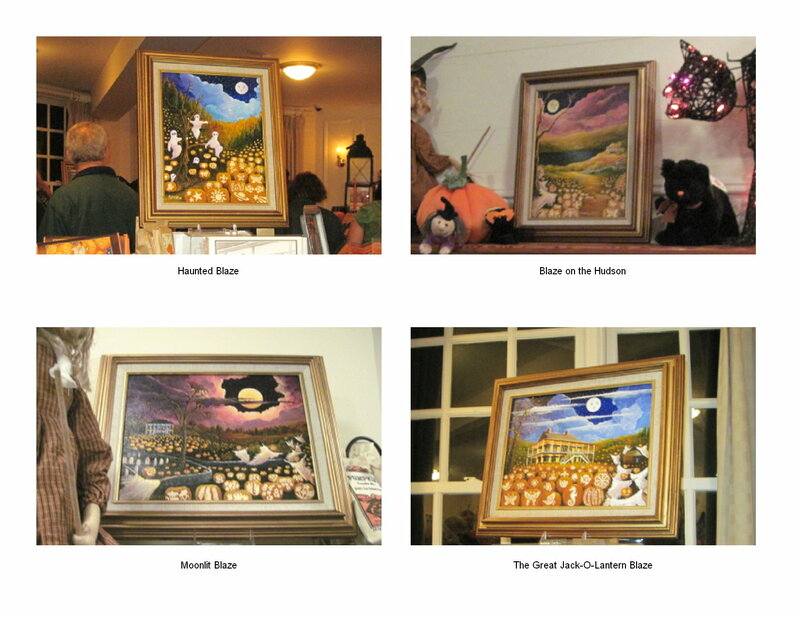 Bought 2 of your paintings in October 2008. A headless horseman on a bridge at the Legend thing at Philipsburg Manor and one at the Great Jack-O-Lantern Blaze at the Van Cortlandt Manor of celtic pumpkins with the manor in the background. I didn’t realize these paintings were named. How would I find out the name of mine? I really do enjoy them. I live in Alaska and I keep the halloween spirit going year round. Thank you very much for your interest in my work. Your paintings should each have my hand-written title on back of the canvas frame. It’s wonderful to know you keep the Halloween spirit! Please visit Sleepy Hollow country again! All the best and Happy Halloween!